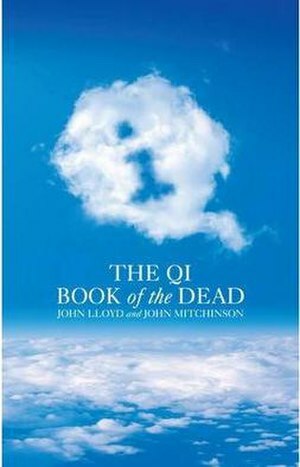 The QI Book of the Dead is a book about life. Around 90 billion people have existed since the human race began. From this huge number, the bestselling QI team selected 600 of the finest examples of our species and researched them in depth, distilling this immense banquet of life into an exquisite tasting menu of six-dozen crisp, racy mini-biographies, where the internationally and immortally famous rub shoulders with the undeservedly and (until now) permanently obscure. The object is to learn something about what it means to be alive and how we can make the most of the time we have. The QI Book of the Dead compares and contrasts the different ways individual human beings cope (or fail to cope) with the curves that the uncaring universe* throws at us. Collected into themed chapters with thought-provoking titles such as ‘There s Nothing Like a Bad Start in Life’, ‘Man Cannot Live by Bread Alone’ and ‘Is That All There Is?’ here is a chance to share the secrets of the Dead, to celebrate their wisdom, to learn from their mistakes, and to marvel at their bad taste in clothes. *We don t rule out the alternative possibility of a compassionate God whose motives are beyond our ken. Bit of a difficult one to review this. Very interesting, and well written so it was as easy to read as fiction tends to be. Gave me a fair bit of knowledge without any of it being particularly useful! Quite amusing too, although I found more made me laugh in the first few chapter than in the last few. Well worth a read anyway.